Pepper Winters lied. There is no choice. There is only acceptance or denial. But there is no choice. 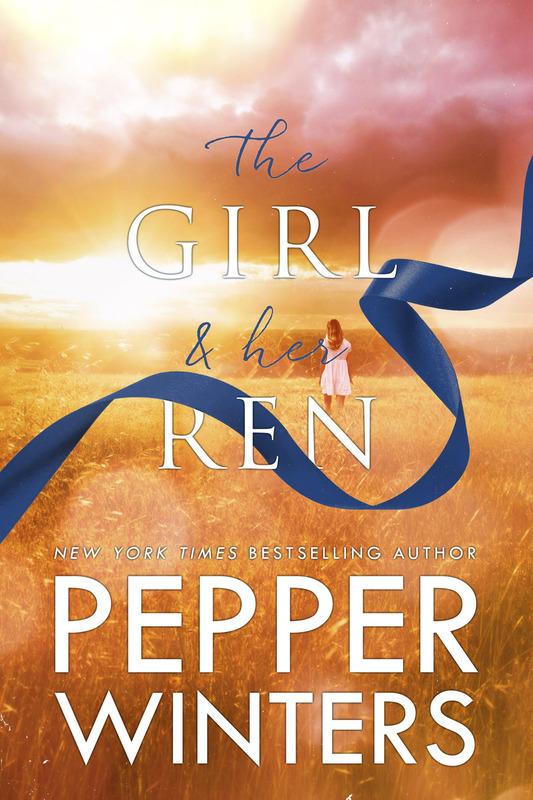 Pepper Winters is destroying my day one tear at a time. I'm not sure I'm going to survive this book but damn it I already know my heart won't let me stop. I spent the last few hours in utter agony. I was a sobbing mess of aches and horror. My head hurts, my eyes are swollen shut and I’ve been reduced to mouth breathing. My heart aches. My lungs are fighting to capture breathe. My face, tear ducts, and nose hurt from wiping and crying. I am an absolute mess of epic proportions. I am devastated, lost, and so madly in love with their love that I would voluntarily go through the heartache all over again- once I build up the walls that Pepper Winters smashed into dust. 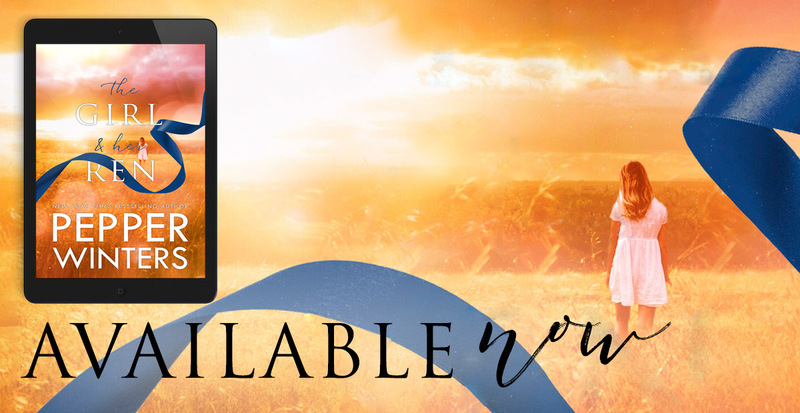 In a twisted example of the destruction of my soul I wanted to walk you through the painful, most intense quotes that are sure to destroy even those that opt against reading this duet. But then I remembered I hate spoilers and that I could not in any conscience jeopardize the intensity of the authors words to make myself feel better. So once you have been demoralized, destroyed, and left in tatters by this book, please PM, message, or email me. I need the release valve of shared agony as much as you will. You see Della warned as all along. You may not remember or you may have brushed it off as I did. But the truth of the matter is that she warns us that this is no fairytale- or at least not the Disney kind. Its real and raw and so very beyond words. Its heartache, bone deep despair, and love filled with longing only some of us will ever experience. It is soul branding love, spine bowing intensity, and 110% loss. Loss of innocence, love, and spirit. The Girl & Her Ren is loss of hope, light, and sanity. But as you start to think of me as Debbie downer, The Girl & Her Ren is everything. EVERYTHING you could ask for in a life story. Unconditional love to a degree no one has ever put to words. It is hope intensified to epic need. It is simply the best/worst book I have ever read. I have never cried, sobbed, and shut down as hard as I have reading this book. There have been tons before this that made me cry, weep, and mourn but they have all been pushed of the pedestal of pain. 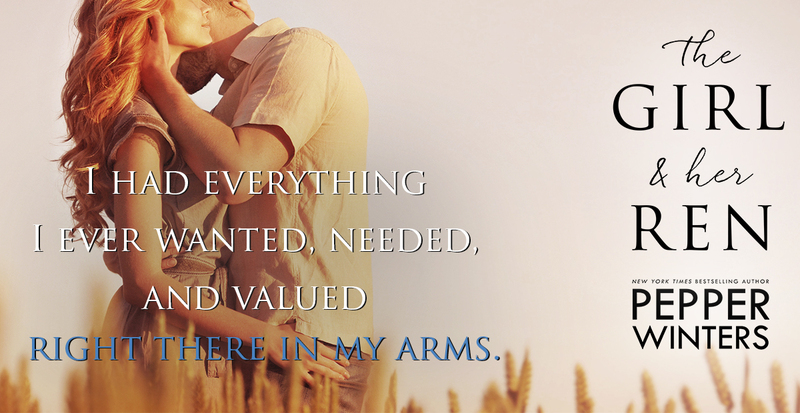 The new crowned book: The Girl & Her Ren. I don’t know if Pepper Winters set out to destroy, demolish, and obliterate every known reader in the world but she is off to a fantastic start. So take it from this reader with the puffy eyes, snot stained tissues, and oppressing headache- you have never read a life story like this one and you will never read another one either! The best book of 2018 no question, I know that's a bold claim considering we're only in June but I've never ever had a book affect me this way. This in my opinion is this authors best work todate the story is addictive reading the writing is sublime both books are absolute perfection. Ren and Della are two characters who will never leave me, I have no idea how to describe their relationship. Don't get caught up on the age difference, how they met or the bond they formed when Della was younger. Focus on the love that jumps from every word the author wrote, separately they exist together they are one, soul mates most definitely. Every hardship they endured was for one reason and that was to bring them together. This book wrecked me, I've cried before at books but I'm done spent emotionally raw, staring into space with tears running down my face. Oh to find a love like theirs an all consuming passionate jealous unconditional everlasting love. The story made my heart heavy with injustice, pain and despair just as much as it was filled with joy and love. If any books need to be a film these should be at the top of the list. I'm left with one question how do I move on now? I feel as though my heart stopped. The first book trapped me and made sure that I would see this book through until the end. But I didn’t realize the journey I was taking. I can honestly say that no other book nor film has moved me like this. I think the reality of it all, the truth in every word, and honestly the fear that life can take away your most prized possession is what makes this book completely complex.. But more than anything it tells you to live and to truly embrace every moment we are given. I’m sure if I were to give it a day or two I could write a far more beautiful review but to be honest. I want this review to be raw and dripping with truth. As I sit here still crying. I wailed, screamed and let tears flow because this story deserves all the raw emotions we carry inside of us. All hail Pepper Winters for making both of these books and real life and all that it entails.